My name is Eugene Dyal. I was born in 1954 a native of Alma, Bacon County. I am a 1972 graduate of Bacon County High School. After high school I became the co-owner of Aire-O-Lite Optical along with my brother Donnie Dyal for twenty-one years. In 1975 I married Sherrie Smith also from Bacon County. We later had two children, Diana Dyal Britt and Allison Dyal Haddock. I now have two granddaughters, one grandson, and one grandbaby due in September. Through the years, I became Chairman of Bacon County Commissioners as well as an insurance agent for Management South Agency. I continue to live in Bacon County and presently serve as the Council Coordinator of Seven Rivers Resource and Development. I was appointed to the Union Board of Director in 2013. God has given me a servant’s heart and desire to always help anyone in need. Selena Strickland is a graduate of the Rollins School of Public Health at Emory University with a master of public health in epidemiology. She was employed by the Georgia Division of Public Health as the district epidemiologist/biostatistician for the Coastal Health District until she left to devote time to urgent family healthcare needs. Since then, in her free time, Selena has pursued varied hobbies and interests including gardening, textile based crafts, working with children and youth in church and community settings, and restoring classic cars and trucks. She recently earned an Automotive Collision Repair Diploma from Okefenokee Technical College. The majority of Selena’s time is spent with her husband, Joey, as they care for and tend to five grandchildren and one great-grandchild. She is blessed to have one grandchild with developmental disabilities and, as such, is committed to serving the Unison Behavioral Health target population. She is excited to be part of the Board. Born in Waycross, Commissioner Nelson is a 1982 graduate of Waycross High School. After graduation, he enlisted in the U.S. Air Force and served honorably for 6 years with duty stations at Robins AFB in Warner Robins Georgia and USAF Detachment in Conrad Montana. After returning home in 1990, Commissioner Nelson worked for the Ware County Recreation Department as Programs Coordinator where he became active in Georgia Special Olympics and various other programs promoting youth abstinence and training. In 1999, Commissioner Nelson was elected to the Ware County Board of Commissioners. Reelected in 2014, he is currently serving his 17th years of the County Board. He is a Certified County Commissioner with University of Georgia, Carl Vinson Institute of Government. Commissioner Nelson’s civic, community service and board involvement includes membership with the NAACP, Waycross Black Action Committee, Greater Mt. Zion AME Church; Ware County High School Wingfoot Track Club. He is currently serving as Executive Board Chair – Concerted Services Inc; Ware County Legislative Coordinator for the Association County Commissioners of Georgia; Chairman of Ware County Special Olympics; and member of Unison Behavioral Health. 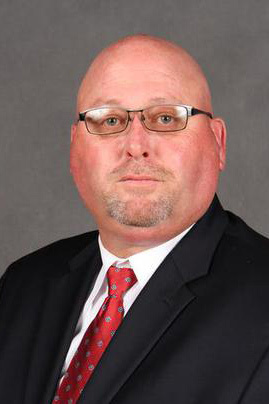 Commissioner Nelson is a high school and college basketball official and is currently the Director of the Waycross-Ware Co Drug Action Council. Derek Herlocker was born in Coffee County and lived there until 2014 when God called him to First Baptist Church in Homerville where he serves as the Student Pastor and has served there since 2014. Derek previously served as Student Pastor at First Baptist Church in Broxton, Ga for 9 years. Derek is a graduate of New Orleans Baptist Theological Seminary with a Masters of Divinity degree and also a graduate of Brewton Parker College with a B.S. in Sports and Fitness. Derek is married to Stephanie of Broxton, Ga and they have two children, Breana (8) and Braden (6). Derek enjoys spending time with family, playing golf, cooking, watching UGA football, hunting, and fishing. Derek currently serves with the Clinch County Family Connection and is also a co-chair on the Teen Issues Strategy Team. Derek is also actively involved in a number of ministries in Clinch County including FCA. Derek has a passion for young people and desires to be a positive influence in their life. JoAnne Lewis is President of the Douglas-Coffee County Chamber of Commerce and Executive Director of the Douglas-Coffee Economic Development Authority. She has more than 25 years of economic development experience with local and state government. Her main career objective has been to grow jobs and business to support a strong economy. She understands the importance of health and social issues as an important piece of the puzzle to support the development of a skilled and qualified workforce. As a respected economic development professional, Lewis has gained support from regional, state and national professional organizations. She served as the Chairman of the Georgia Economic Developer’s Association in 2013. She has also served as a Director on the Board of Georgia Association of Chamber of Commerce Executives. She received Georgia’s Al Burress Lifetime Achievement Award for the State of Georgia, Regional Partnership Award from East Central Technical College and was recognized in 2007 as the national recipient for the Economic Development Leadership Award by the National Rural Economic Development Association. Her time and talent amplifies success at work and through volunteerism in the local community, region and the State of Georgia. In 2014 she spearheaded the acquisition, development and opening of a substance abuse recovery center for women - Still Waters Outreach, Inc. The program for women at Still Waters supports substance abuse recovery through faith — and faith through recovery. The environment is more than just a place to live; it’s a place of spiritual healing where women can face their problems as they study God’s word, grow in Christ and prepare for workforce reentry. Command Chief Master Sergeant, United States Air Force, (Ret) 1981-2008; Charlton Memorial Hospital, QA/PI Director 2008-2009; Armament Munitions Wing, Awards/Decorations & Self-Inspection Manager 2010; City of Folkston, Public Works Director 2011-2013. Born in Jacksonville, Florida, Commissioner Johnson grew up on a small farm northeast of Patterson, Georgia. After graduating Patterson High School, he married the former Lisa Moody of Blackshear and joined the U.S. Air Force. They have two sons, Blake and Wyatt. After serving almost 27 years in the Air Force and living many places, Commissioner Johnson and his wife have lived in Charlton County since 2008. Patricia represents Atkinson County on Unison's Board of Directors. She is a private consultant for families dealing with issues of substance abuse and mental illness (depression bi-polar disorders). Dr. Faye Mathis is employed as Dean of Allied Health at Coastal Pines Technical College. A graduate of Valdosta State University with Bachelor and Master’s degrees in Adult Education. She also received her Doctorate in Educational Leadership from Argosy University, Sarasota Florida. 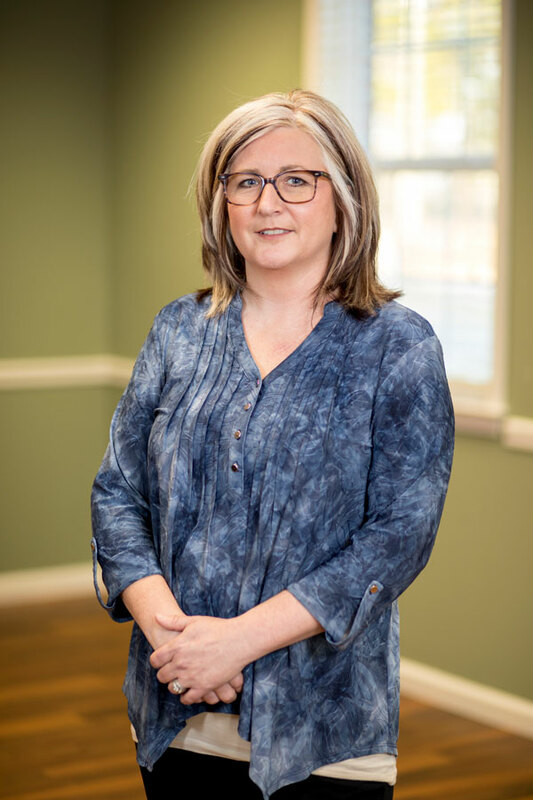 A Respiratory Therapist by trade and served as Program Director and instructor of the Respiratory Care program from 1994-2017 at Coastal Pines. She is very active in student clubs and organizations at the college and was named the 2009, State Advisor of the year for Skills USA. She was also named the 2002 college Instructor of the year, and a Georgia Department of Technical and Adult Education Rick Perkins award finalist for Excellence in Technical Instruction. She’s a proud mother of two sons, and a nana of four grandsons. Lowell is currently employed as Instructor, Valdosta State University, Department of Middle, Secondary, Reading, Deaf Education. His experience includes 31 years in public education (math instructor, assistant principal, principal) and 12 years in higher education (math instructor, supervisor of student teachers). Lowell served as the Chair of Unison's Board of Directors from 2008 until 2013. He has been a board member since 2006 and served as Vice Chair from 2007-2008. In keeping with the mission of Unison Behavioral Health, as an administrator in various school systems, Lowell saw the need and the results of these organizations as we provided quality mental health and substance abuse assistance to consumers in our communities and schools. Ginger Manning is a graduate of South Georgia State College and Valdosta State University with a Bachelor of Science in Nursing. She has 26 years of nursing experience with the majority in the field of Emergency Nursing. Currently she is employed at the Bacon County Hospital as the Emergency Department Nurse Manager. She was born at the hospital that she now works at and grew up in the Millwood community (Atkinson County). Since 2005 she has resided in Bacon County with her husband Scott Manning. Together they have raised 6 children and have only two left at home, 13 year old Bennett and 7 year old Joshua. Ginger is pleased to have been selected by her county to represent them on the Board of Directors. She is especially grateful to follow in the footsteps of her dad who served on the board for Atkinson County until his death in 2003.